The HDW2 COACH is available in size 295/80 R 22.5. Hanover, October 1, 2018. People travelling by coach want to feel safe and arrive on time. Fleet operators can make a significant contribution to enhancing safety and avoiding delays by fitting their coaches with tires specially designed for seasonal requirements. Just in time for the upcoming winter season, Continental is launching a high-performance winter drive axle tire developed specifically for coaches: the HDW2 COACH. It outperforms M+S tires and exceeds the performance requirements of the 3PMSF certification. “With the HDW2 COACH, Continental now offers a brand-new and highly specialized winter tire option for fleet operators. Transport professionals will benefit from its perfectly balanced performance profile that provides optimum safety and reliability on wet, snowy and icy roads,” says Constantin Batsch, Vice President Business Region Truck Tires EMEA (Europe, Middle East, Africa). The HDW2 COACH is available in size 295/80 R 22.5 and rounds off the product family that already includes the HSW2 COACH tire for the steer axle. 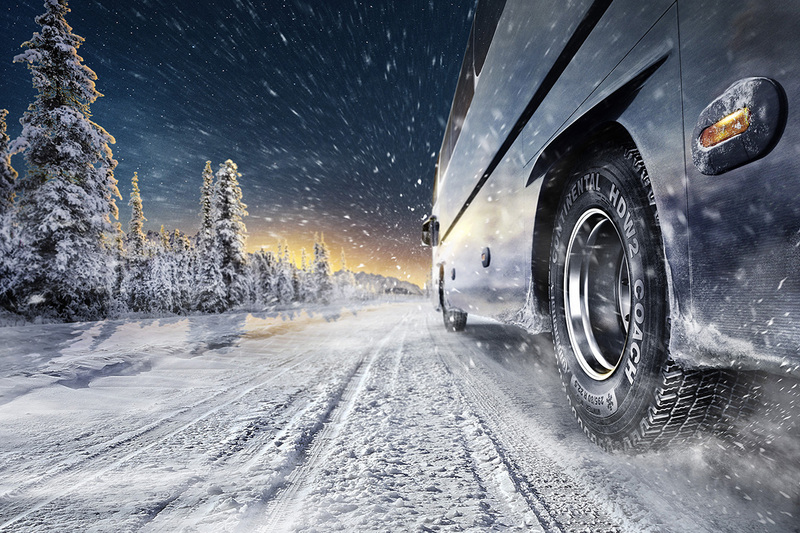 Continental launches new high-performance drive axle winter tire for coaches.